Nitrofreeze offers batch and continuous cryogenic treatment equipment in different models and sizes. Our cryogenic processing equipment can be customized to reach any temperature between -300F to +1120F. System management and temperature control units range from conventional analog inputs to PLC based units. We also offer used cryogenic treatment and processing equipment as it becomes available. Nitrofreeze offers cryogenic treatment equipment and cryogenic processors with post-temper capabilities. We also have another line of cryogenic processors that have high temperature (+1120F) tempering included. These cryogenic processors come in standard sizes and can be modified to meet customer specifications. These models are made of stainless steel and built for maximum utilization. All new cryogenic processing systems come with a warranty. Our standard cryogenic processors have a working temperature range of room temperature to -300F. Using fan-assisted circulation the processor will maintain temperature uniformity. Heavy-duty insulation keeps liquid nitrogen usage to a minimum. Processors are made entirely of stainless steel for longer life. Top loading and front loading models are available. Analog and PLC based controls are available along with many other options including racks. Our line of cryo treatment processors with built-in tempering capabilities offers the best solution for bringing cryogenic treatment procedures in-house. Rather than buy a cryogenic processor and an oven, these processors are all-in-one. The working temperature range of these units is -300F to +485F. A fan is included in the chamber to provide excellent temperature uniformity in both cold and hot environments. Made of stainless steel, these processors are available in front and top loading models. 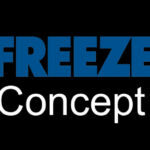 Nitrofreeze also offers cryogenic processors with high temperature tempering capabilities. The working temperature range is between -300F and +1120F, depending on the machine, and are highly insulated to keep both cold and hot temperatures inside the chamber. Made of stainless steel, these processors are available with front or top loading doors, available in standard sizes and can also be made-to-order. Our models are fully customizable to better meet your needs.